SYNOPSIS: It was supposed to be Lexy Quinn’s year. The hard-working wallflower has finally landed the coveted spot as Editor of her school’s newspaper. Then the rug is ripped out from under her when she finds out her mom is sick, and the family is moving half-way across the country to Preston Hills, Texas. Lexy can’t think of a worse place to be than at a school full of snobby rich kids where she’ll have to start all over to get people to notice her writing, or–who is she kidding?—notice her at all. When the most swoon-worthy boy in town, who also happens to be the jock celebrity quarterback, gives her an exclusive interview, Lexy’s life takes an unexpected turn. Ash Preston is the perfect guy and, even better, he sees Lexy as she wants to be seen. But can she trust him? 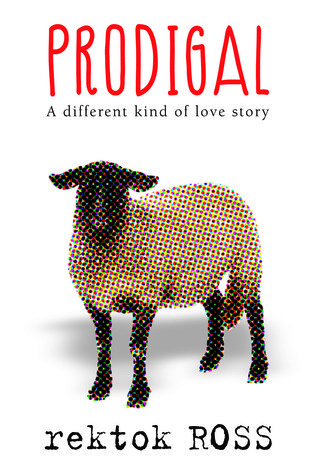 PRODIGAL is a different kind of love story, where faith, romance, and God converge . . . and it just might change the way you look at your life. I'm a religious person. I'm not overly zealous but I love my faith enough to keep practicing it until the day I die (bit dramatic there are we). Even if that's the case, I'm not the type who often reads books with religious undertones because I feel like some books can be a bit preachy. I read this book from 7PM to 4AM STRAIGHT. I haven't done that. Ever. I think Ash is such a great name for the male lead. It's perfect for him - beautiful with a bit of mystery. I was in love with him the moment I read that his name's Ash. Please let me find an Ash. LOL. I was pleasantly surprised by how much I enjoyed this book! I was engrossed from beginning to end. I think the biggest reason why I enjoyed this book is the pacing. I love it when a book is able to cover a long span of time without hurting the quality of storytelling. I think Ross did a wonderful job at setting the pace for the book. The beginning alone was told in a pace that was just right, so I was able to get into the story faster. Some parts were told in detail while some were merely part of the narration, but still contributed to the overall flow of the story. I also liked how real the characters felt - and that's also one of the reasons why I wasn't so bugged out by the religious aspect of the book. I can just imagine how the characters would say their lines if they were real people. Even Blythe's insults and snarky comments weren't over the top unlike in some stories. Everybody was believable. Now let's talk about the protagonist: Lexy. She's smart but she's pretty clueless about boys. I mean, come on! Ash Preston is basically making time for you, and you know it's not just about the interview anymore, do you even wonder if he likes you? But that was case for the first half of the book. The rest of it - when she did realize that Ash had a thing for her - got more complicated and I don't want to spoil for you. Heh. Lexy's character may be a wallflower on the outside but inside, she's really something. She's a nerd who really goes after what she wants for her future and I really like that about her. It's very rare to read about female protagonists in a school setting who are more bent on getting her choice career track than getting the school's star player. I like that despite becoming a somebody in school, she didn't lose sight of who she really is - she remained a nerd I love that. What I didn't like about her though is the way she handled her mother's illness. It kind of bothered me that she didn't react the way a normal person would if they'd find out one of their family members have cancer. She still went out a lot and it seemed like her love life troubled her more than her mom being sick. Eh? I know some of you might get turned off by the religious aspect but trust me, it's not enough for this book to be characterized as religious fiction. Ross just made a few references to God and a parable (Prodigal Son) but it wasn't as if it was the central theme of the book. I think it's cool how Lexy was able to get a bit of clarity with the help of going to Church and reading about God and whatnot but it didn't instantly make her life better like magic. It just made her see things differently, and I think it's one of the most truthful things about religion in general. And this is what I was saying earlier - the characters seemed real, so when they said stuff like, "Maybe God has a plan for you." it didn't feel preachy to me. I don't think it's because I'm religious and I'm surrounded by religious people so hearing lines like that is pretty normal to me. If it feels preachy, it feels preachy - in books and in real life. Prodigal wasn't like that. To me, Ross was able to incorporate religious references into the YA storyline smoothly. The only thing I didn't like was the time it took for the Lexy-Ash issue to get resolved. At some point I felt so upset because of the conflict that I felt my heart beat uncontrollably like I'm the one experiencing it (dramatic much). For a reader to be affected like that, that's got to be great writing, right? Trouble was, the resolution happened in the last 3 percent of the book. I kept checking the location map on my Kindle app because I was starting to panic. I almost felt like they weren't getting a happily ever after but once they did, I felt really relieved and satisfied with how it turned out. Overall, I'd say Prodigal is definitely a must read. It's refreshing, written beautifully with a great set of characters and a storyline that will get you hooked from the very first chapter till the end. Hey, any book that gets me reading for hours straight is surely great one! Side note: For those of you wondering why on earth there's a sheep on the cover, here's my take on it: The Parable of the Prodigal Son (Luke 15:11-32), the Bible verse Ash writes on his palm during games, has many versions with the same theme of loss and redemption. One of which is the Parable of the Lost Sheep. Perhaps that's why they used a sheep on the cover. Thoughts? Rektok ROSS is the author of the debut novel PRODIGAL. Rektok graduated college with a degree in journalism, which has since been forsaken in favor of fiction writing. Rektok likes all animals, a good underdog story, and dessert at every meal. Rektok currently resides in California. This review is based solely on my opinion. Hey I just wanted to say thanks for following my writing blog. I also have a book review blog you can check out if you are interested. http://danicapage.blogspot.com. Loved your review. Thanks for sharing. And have a great day. Sure, I'll check that out. Thanks, Danica! Great review! Thanks for sharing!